Belgium, embodying fun and festive adventure, hosts festivals all summer long! Stay with Campanile Hotels to explore the many cultural riches - food, museums, scenery - that Belgium has to offer! Belgium has a long and fascinating history. Named after a Celtic tribe called the Belgae, the area was controlled as a Roman province until Germanic tribes came to the area and eventually the Franks, a German group, took over. In the north, people spoke German, while in the south people remained Roman and spoke Latin. The country was taken over by the Hapsburgs and occupied by Spain and Austria in the 16th to 18th centuries. Belgium was annexed byFrance following the French Revolution. However, Belgium became part of the Netherlands when Napoleon’s army was beaten in the Battle of Waterloo in 1815. In 1830, Belgium won its independence from the Dutch, though it was invaded several times by Germany. In 1944, the country was formally liberated. For a weekend getaway, take in the sights in the beautiful Belgian capital of Brussels! Enjoy a brunch at the Bla Bla Gallery in the heart of the old and best area of the city. Wander through the old town and head towards the Chocolate Museum for a sweet afternoon. You could also visit the Royal Museum of Fine Arts, the adjoining Modern Art Museum, or the Brewery Museum which is on the Grand Place. 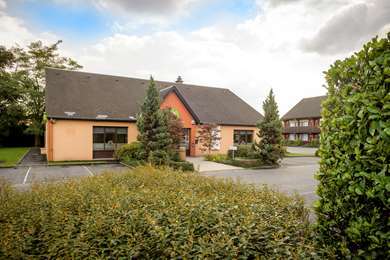 You’ll be nearby the Campanile Brussels – Drogenbos hotel for all your needs! Extending your stay in Belgium? Be sure to stop by Bruges and Ghent, two must-see medieval towns to complete your itinerary. 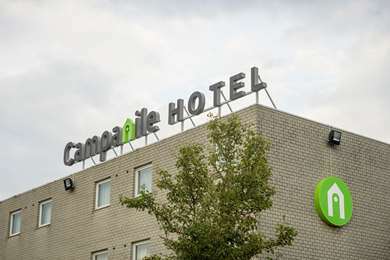 While there, Campanile would love to greet you at the Campanile Bruges and Campanile Gent hotels. In Bruges, also known as the Venice of the North, you can easily tour the city by bicycle. The canal cruise is considered a major highlight during which you can see plenty in a short space of time. Nearby Ghent has a thoroughly Flemish identity. Climb the stairs of the 14th-century belfry's viewing platform to get a breathtaking view. Walk to the medieval inner harbour, past the Gravensteen castle and pass through the restored medieval Patershol district. Belgium is home to chocolate and smurfs – a perfect family getaway! Kids can enjoy museums, festivals, theme parks, castles, and gardens while learning about Belgium and its place in Europe. Take a Comic Strip Walk through Brussels to discover the Smurfs, Tintin, Snowy and Marsupilami – all created by Belgian cartoonists. Travel through Europe in a few hours with a visit to Mini-Europe – the only park with 300 scale models of all the major European cities. The subtropical Océade aquatic park has water slides as well as a wave pool, aqua fun house, sauna land, jacuzzi, rafts and more. 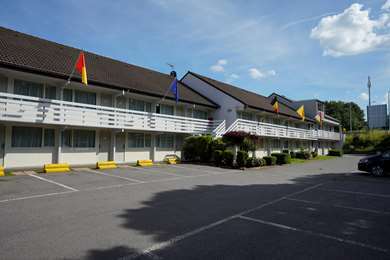 You can get to Belgium from all over Europe on Eurolines coaches. International busses have stopovers in Antwerp, Brussels, Leuven and Liège. Major European highways like the E-19, E-17, E-40, E-411 E-314 and E-313 pass through Belgium. There are direct trains between Brussels and major European cities that connect with domestic trains at Brussels' Gare du Midi/Zuidstation. In Belgium, people like to say that you can get the quantity of a hearty German meal and the quality of fine French cuisine. Though Belgium is world-famous for its chocolate and beer, many other specialities come from the region as well. Belgian fries, waffles and speculoos cookies are a few of the delicious snacks that visitors indulge in while visiting Belgium. Restaurants feature mussels and fries (moules frites), Waterzoo, stoemp potato, and Salade Liégeoise. Getting hungry? Belgium is known for its festivals. Towns and villages have festivals to celebrate everything from their region’s history to their local cheese. Enjoy the country’s lively and colorful Carnival tradition, including one of the most spectacular in Europe in the town of Binche. Summer festivals abound in July and August. For example, head to Ghent in late July for the spectacular 10-day Geentse Feestse, featuring music, dance, theatre, puppet shows, and general fun and festivities! Brussels’ Royal Palace is bigger than Buckingham Palace!